6 April 2006 photo courtesy André Kritzinger. 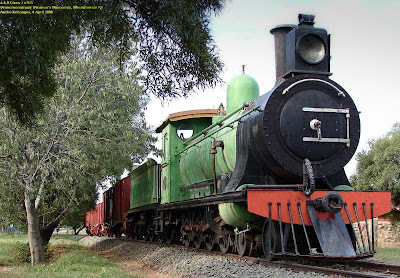 Locomotive on display at the Anglo-Boer War Museum in Bloemfontein Class 7-Steam locomotive no. 975 -- originally no. 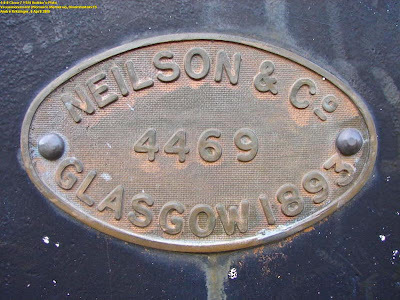 344 with the CGR built by Neilson & Co. Glasgow, Scotland for the Cape Government Railways (CGR) in 1893. Coal tender type ZC no. 489. Mass 24 tons 34 400kg. Capacity 5.5 tons (4 989 kg) coal and 2 600 gal (11 817 l) water. 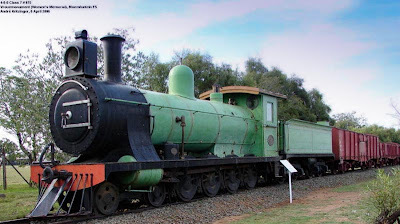 During the Anglo-Boer War the engine was used for the transportation of British Forces and supplies. Restored and donated by SA Transport Services. 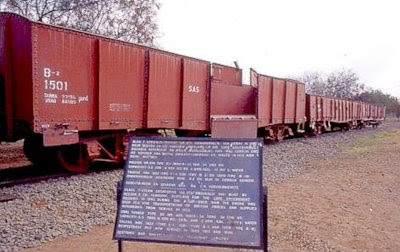 Trucks nos 7652 (type C-1) 1501 (type B-18). 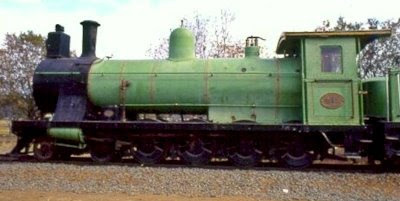 Respectively put into service in 1890 and 1920. Restored and donated by SA Transport Services. 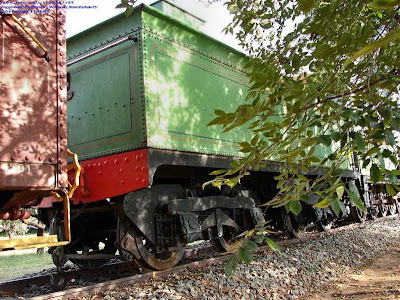 The Class 7 locomotive dates from pre-SAR days, 38 of these were put into service during the years 1892-1893. The design was prepared in 1890 by H.M. Beatty. All the locomotives in this series originally used saturated steam, had plate frames and Stephenson's link motion. The first six (SAR No's 750-755) were delivered by Dübs and Co in 1892. No 750 was Neilson works no 4469 built in 1893. 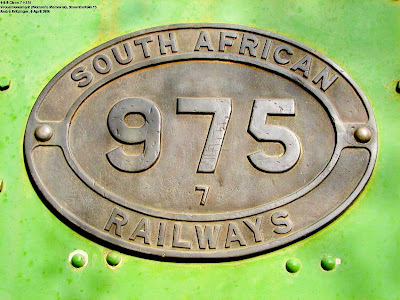 You may also compare this Class 7 locomotive with no 950 at Upington, 970 in Riversdale, and no 987 at Matjiesfontein. 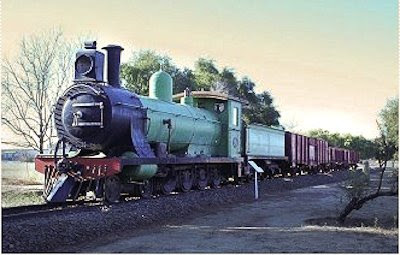 Its wonderful to see such old locomotives are preserved in the Anglo boer war museum.